New report calls for pan-Wales training and employment services for vulnerable adults. Research carried out by Professor Susan Hutson and Dr. Stephanie Jones has recommended the development of a network of training and employment projects across Wales for homeless and vulnerable adults. 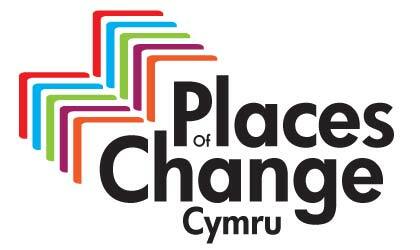 Places of Change - From Exclusion to Employment was launched at the Shelter Cymru conference at the end of June. The researchers interviewed staff and service-users from homelessness organisations across Wales, over several months, looking at examples of good practice as well as gaps in delivery. The full report can be read here and the executive summary here. The research comes in advance of a new European structural funds programme for West Wales and the Valley starting in 2014. 20% of funds will be targeted at combating poverty and social exclusion. Other recommendations include closer working between the third and private sectors, links with leading projects in Europe tackling social exclusion, and residential training projects specifically for homeless and excluded people. The Places of Change Cymru consortium, comprising Caer Las, Cyrenians, Cadwyn Housing Association, Cymorth Cymru, Shelter Cymru, and Gisda, has spent 18 months planning a project for submission to the 2014-20 programme. It will include ‘hubs’ of projects across West Wales and the Valleys to help people overcome barriers, participate in training, and find and sustain employment. It will also assist the development of social enterprises and micro-businesses. The barriers, training and employment model has been successfully tested in the Swansea Bay area, with the ESF-funded Cyrenians Supported Employment and Training project, which has supported over 6000 people and helped 1200 to find and stay in work. As well as the social impact, an independent evaluation found that for every £1 spent on the CSET project there is a minimum net gain of £1.44. Dr. Hutson said: ‘The timing is right to build on existing foundations. The Places of Change Cymru model not only fits well with Welsh Government priorities, it offers new approaches to old problems, and could make a real difference to the lives of homeless and vulnerable people. Conrad Watkins, Cyrenians CEO, representing the PoCC consortium said ‘People in Wales are facing a tsunami of deepening poverty and social exclusion from welfare cuts and economic gloom. The Places of Change proposal offers a coherent and supportive route to help people from exclusion towards employment. We want to link up homelessness organisations across Wales to deliver this, and offer hope to people at the sharp end of poverty. Consortium members will now be meeting with Welsh Government ministers and the Welsh European Funding Office to discuss the findings of the research and the development of the Places of Change proposal.